This is Part 2 of a two-part series. Part 1, titled “Venezuela’s Gold Reserves – Part 1: El Oro, El BCV, y Los Bancos de Lingotes“, provided a historical overview of Venezuela’s gold and looked at where the gold, and the claims on gold, were located just prior to repatriation in 2011, especially the gold held abroad. Part 1 was necessary so as to set the scene for the, in some ways, theatrical gold flights and convoys of Part 2, and to also illustrate that a percentage of Venezuela’s gold (50 tonnes) was retained in the vaults of the Bank of England so as to be available for activation into international gold transactions. And so, the analysis below covers Venezuela’s actual gold repatriation operations in late 2011 and early 2012, especially the first and last flight. You will see that the first batch of gold bars came in on an Air France cargo flight, which opens up key questions about France and the Banque de France as a source for some of the repatriated gold. You will also see the arrival and unloading of the last flight, a World Airways cargo freighter. The analysis wraps up with a look at the gold swap discussions between Venezuela and a set of investment banks which culminated in a gold swap being agreed with Citibank. The question then arises as to whether further similar gold swaps are in store for Venezuela’s domestically held monetary gold. The Venezuelan gold repatriation transport operation took just over two months to complete, beginning on 25 November 2011, and winding up on 30 January 2012. During this time, 23 shipments (by air) are said to have arrived in Caracas, with 160 tonnes of gold flown in. Notwithstanding the fact that the German Bundesbank claims to have quietly and secretively moved 940 tonnes of its gold from the Bank of England in London to its Bundesbank headquarters in Frankfurt between 2000 and 2001, the Venezuelan gold repatriation is still probably the “largest movement of physical gold in the world market” since that time. 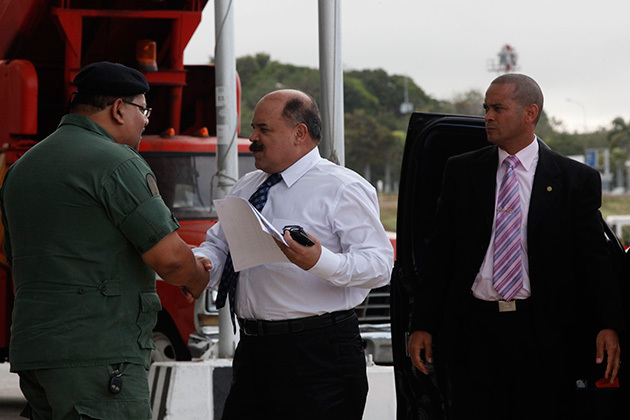 The first and last shipments of Venezuela’s gold repatriation arrived into Maiquetía Airport (aka Simón Bolívar International Airport) in Venezuela’s capital, Caracas, so the presumption is that the other shipments did also. Both the first and last shipments received huge media coverage in Venezuela and extensive coverage internationally. Given that the Venezuelan State facilitated and encouraged this domestic media coverage, as well as street scenes thronged with Chavez supporters, this is not surprising. The majority of the other shipments after the first and before the last ones got little or no coverage, probably due to security procedures. 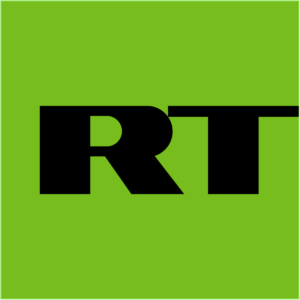 The Reuters report also quoted a Venezuelan government source as saying that there would be ‘several’ cargo flights. “A senior government source involved in transporting the bars, which amount to 90 percent of Venezuela’s gold held abroad, has told Reuters they will be shipped in several cargo flights that will be completed before the end of the year. 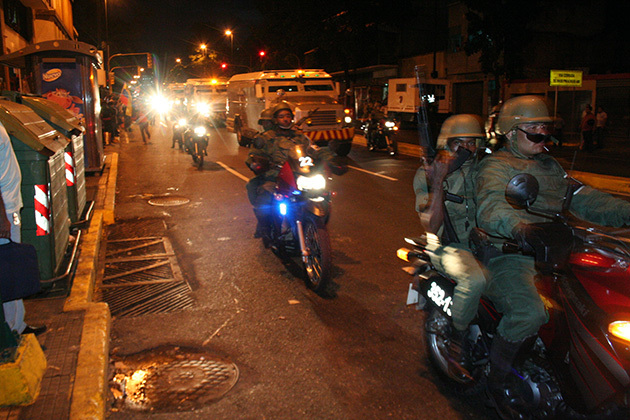 The gold from the first shipment, which consisted of 5 tonnes of gold, was moved from Maiquetía airport to the central bank vaults in Caracas on Friday 25 November 2011 amid much fanfare and coverage. Although the airport to bank journey happened on 25 November, an article here claims that the “the repatriation of gold reserves began on 23 November”. In various news footage videos below, which cover the transport of the gold from the airport on 25 November 2011, there are no shots of any aircraft being unloaded, which may suggest that the first shipment did indeed arrive prior to 25 November, possibly on 23 November. 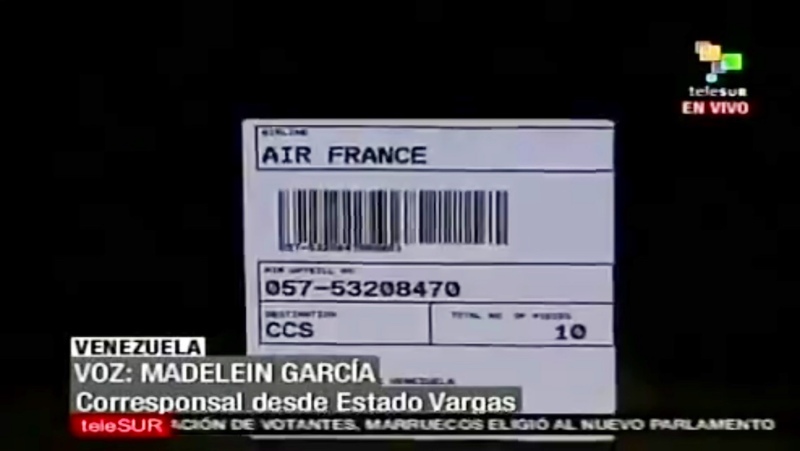 The first shipment was flown in using Air France (see below). In contrast, during the last operation on 30 January 2012, the arrival of the aircraft into the airport played a starring role in proceedings, possibly because the shipments were then being wrapped up and there was little harm in broadcasting the identify of aircraft, which you will see below was a chartered World Airways MD-11 cargo freighter. 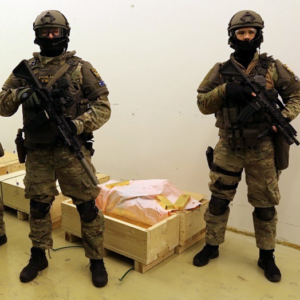 The first video below from 25 November 2011 shows black plastic crates (presumably with the gold in them) on pallets which in turn are on trailers, positioned beside a line of armoured cars ready for loading. Very interestingly, central bank governor Merentes (at 0:22) states that this first shipment of gold came from European countries “via Francia” (by way of France). This is very odd that the first shipment came from France. Given that the gold was stored at the Bank of England and with the BIS, none of the Venezuelan gold should ever have been in France. And with air charters from Europe, there would be no need to fly into and out of a French airport en route from London to Caracas. This label above shows the ‘Air Waybill No’ of ‘057-53208470’, the ‘Destination’ of CCS (Caracas), and the ‘Total No of Pieces’ – 10, i.e. 10 crates. Air France Cargo fleet consists of 2 long-range Boeing 777- 200LRF cargo freighters, registration numbers F-GUOB and F-GUOC. You can see a video of F-GUOC taking off (from another airport) here. These 777F aircraft have “a maximum payload of 102 tonnes, a total capacity of 37 pallets and a maindeck that can take 3-metre pallets“. The videos below of the first gold shipment, and the video of the last unloading on 30 January 2012, shows these huge 3-metre pallets on the ground and, in the case of the last shipment, being unloaded. Since the gold in the first shipment was flown from France, this gold may have come from the Banque de France in Paris, which would suggest that the bullion banks and/or the BIS had to resort to sourcing gold from the Banque de France. BNP Paribas was one of the five bullion banks that had a borrowed gold liability to the BCV, so this fact may be relevant. (See a section below about the French connection). 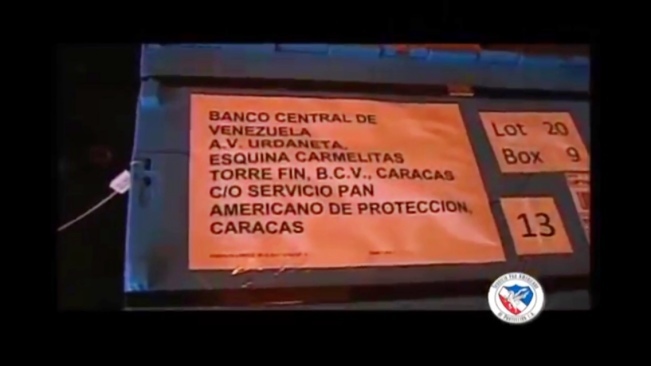 The second Venezuelan video from 25 November 2011 states that gold which was located in US, Canadian, and English banks was being repatriated to Venezuela. This does not mean, however, that the gold flights originated in all or any of these locations. 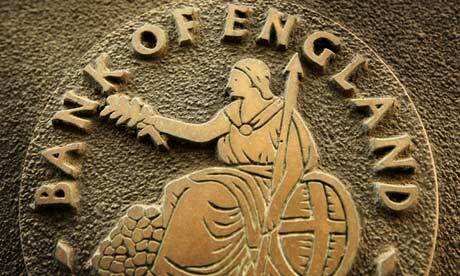 The US, Canada and England just refer to the headquarters of the bullion banks involved in the repatriation. The third video from 25 November 2011 refers to “foreign banks,” “principally in Europe,” and mainly English banks. At a price of $1,688 per ounce on 25 November 2011, that would be roughly 5.5 tonnes. Whether it was 5 tonnes of 5.5 tonnes is not that important. 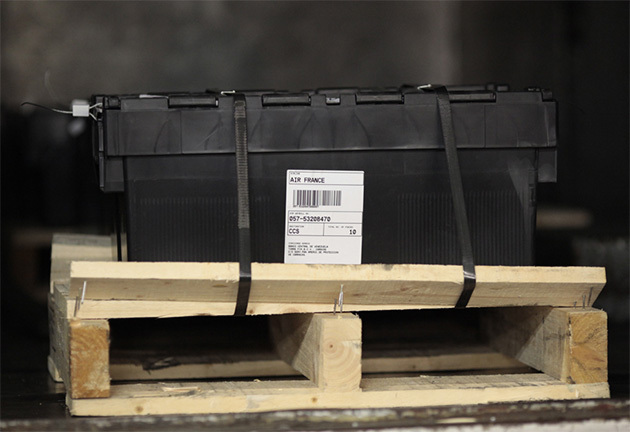 With each of the crates holding 500 kgs or 0.5 tonnes, that would be 10 – 11 crates in the first shipment. There appear to have been 10 crates given that’s what it said on the crate labels and that’s what the BCV maintain their were. 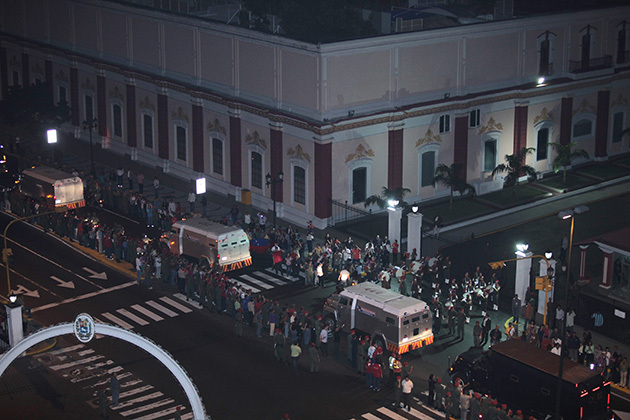 Once the gold was loaded up into the fleet of security vans, a huge convoy of military vehicles and personnel (said to be between 400 – 500 personnel) accompanied the vans out from the airport (by the ocean) and around the mountain to the central bank building in downtown Caracas, on a route, some of which was lined with Chavez’ supporters, especially where they had congregated near the bank’s entrance. As mentioned, there was little coverage after the first shipment, although a local media article referred to a second shipment arriving from Europe on Tuesday 6 December 2011. After this, the media didn’t really cover the repatriation until the last shipment arrived by air on Monday 30 January 2012. The final shipment arrived into Maiquetía – Simón Bolívar airport on Monday 30 January 2012 consisting of 14 tonnes of gold in 28 boxes. The novel significance of the media coverage on this day was that news crews were allowed to film the airplane taxiing into the landing area and unloading its cargo. The arriving aircraft was a three-engine long-range McDonnell Douglas MD-11 CF (convertible freighter), registration number N275WA, serial number MSN 48631, registered to World Airways. You can see the fleet number (nose code) of ‘275’ above the front (nose) wheel in the photo below. Six of these MD-11 CFs were built and World Airways were flying two of them at this time. 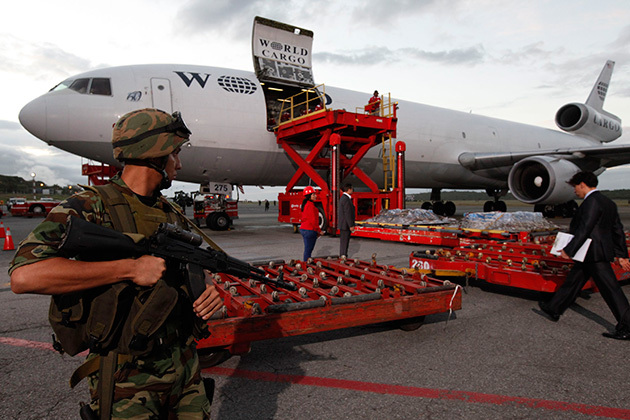 Ironically, the parent company of World Airways, called Global Aviation Holdings Inc, filed for chapter 11 bankruptcy protection on 5 February 2012, six days after N275WA had delivered the last shipment of Venezuela’s gold to Caracas. Interestingly, Global Aviation Holdings was also “the largest commercial provider of charter air transportation for the US military”. Other photos of World Airways’ N275WA from around the world can be seen here and here. N275WA, which had been converted into a freighter in 2002, went out of service and into storage in July 2012. Global Aviation Holdings again entered bankruptcy in November 2013, after which time World Airways was shut down. This explains why one of the MD-11 captain for World Airways (possibly captaining some of the gold flights) left World Airways in March 2014. 6. Length 3:27 – This is a well produced promotional video from “Servicio Pan Americano de Protección”, the company that transported the gold from the airport to the bank. The video shows the entire unloading and loading operation from 30 January 2012 and is well worth watching. An MD-11 CF freighter can transport 26 large pallets and has a maximum payload of 89,000 kgs (or 89 metric tonnes). Technically, Venezuela could have had all of its repatriated gold flown in on a lot less than 23 flights. 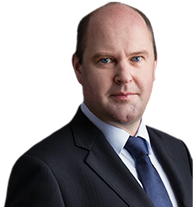 Insurance and other risk management considerations probably dictated the diversification requirement, as well as the gold possibly only becoming available in piecemeal fashion from November 2011 to January 2012. If there were indeed 23 flights over 2 months totalling 160/161 tonnes, each flight could have flown in 7 tonnes of gold, since this adds up to 161 tonnes (23 * 7). Given that the last batch was said to be 14 tonnes and the first batch 5 tonnes, each of the other 21 flights could have carried a batch of about 6.70 tonnes. However, a number of batches could have arrived on the same flight, such as the last flight which is said to have flown 14 tonnes. Video footage from the last shipment day, 30 January 2012, shows a crate with lot number ’20’ displayed on it – See above screen shot. So there were at least 20 ‘lots’. Overall, there would have been about 360 crates. Given that Venezuela was able to repatriate 160 tonnes of gold in cargo flights over the Atlantic Ocean from Europe within 2 months, this proves that the German Bundesbank could have easily repatriated its intended target of 300 tonnes of gold from New York in 2013, by flying the entire 300 tonnes over to Frankfurt within 4 months. Venezuela’s successful operation proves that the Bundesbank’s seven-year repatriation plan is laughable, and that the excuses coming out of Frankfurt are hiding something far more critical to the Bundesbank and the Federal Reserve and US Treasury than logistical flight details. However, in the case of the first shipment on Air France from France, there are not that many places where the flight could have come from, the main suspect being from Charles de Gaulle airport (CDG) in Paris, where Air France has one of its two main cargo hubs (the other hub being Amsterdam – i.e. these are Air France-KLM’s two cargo hubs). This then also makes a good case for the first shipment of gold having come from the Banque de France. If this was the case, then it meant that bullion banks and/or the BIS needed to source gold from the Banque de France. Would this have been feasible? Yes. Milling-Stanley’s reference to the Banque de France acting as an interface to the BIS and commercial banks in Europe may be implying that the Banque de France was a party to the 2010 BIS gold swaps which involved 10 commercial banks including BNP Paribas, Societe Generale and HSBC. In July 2010 the FT said that “three big banks – HSBC, Société Générale and BNP Paribas – were among more than 10 based in Europe that swapped gold with the Bank for International Settlements in a series of unusual deals.” Note that BNP Paribas and HSBC are two of the five bullion banks with which the BCV had outstanding gold loans to in August 2011. 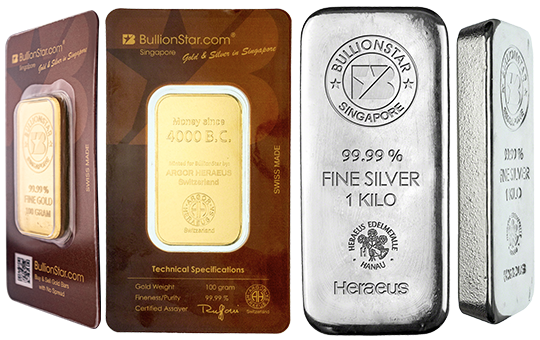 Despite the BIS’ cryptic, short, and obscure explanation that in these swaps, the commercial banks provided gold to the BIS in return for US dollar liquidity, it could be the case that commercial bullion banks borrowed central bank gold held at the Banque de France via financing from the BIS as part of a tripartite transaction. Under this type of tripartite transaction, which was first proposed by Adrian Douglas, a Venezuelan – Banque de France version would have involved the Banque de France arranging gold lending to the bullion banks who then transfer the title of this gold to the BIS. The BIS transfers US dollars to the bullion banks who then either transfer this currency to the Banque de France, or owe a cash obligation to the Banque de France. The gold is recorded in the name of the BIS but is actually kept in the Banque de France until required by the bullion banks who borrowed it, then, when needed, gold is withdrawn by the bullion banks and used to pay back central bank gold lenders such as Venezuela’s BCV. Either French gold or Banque de France customer gold (such as IMF gold in Paris) could have been used in such a transaction. This would explain why Venezuela received crates of gold flown in to Caracas by Air France cargo. This 346 tonne BIS gold swap figure was said to have continued to grow after March 2010 and was estimated to be as high as 380 tonnes by July 2010. At the time of the arrival of the last gold shipment to Caracas in January 2012, Nelson Merentes was reported to have noted that “gold stored in BCV will reach 86% of the total while the rest, about 50 tonnes, will stay in the banks in which the Republic needs to maintain open accounts for international financial operations.” In August 2011, Chavez had referred to wanting to reach a target of 90% of the gold being stored in Caracas, but 86% is quite close. 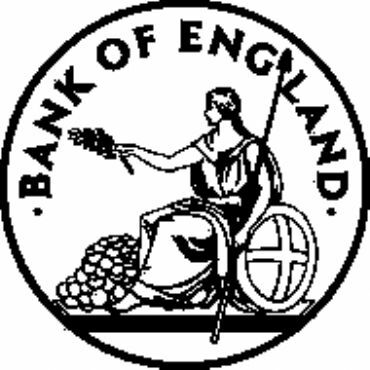 The 50 ton amount remaining at the Bank of England was possibly chosen as a ’round number’ tonnage by the BCV and its international advisors. From the above bar/ingot total calculations, it seems that there were 4,089 good delivery bars left in London. This 50 tonnes, left in situ in London in January 2012, was to play a far greater role in Venezuela’s international financing arrangements than many envisaged at the time. The death of Venezuelan president Hugo Chavez in March 2013, and the election of Nicolás Maduro as his successor marked a re-establishment of the relationship between the international investment banks and the Venezuelan central bank. 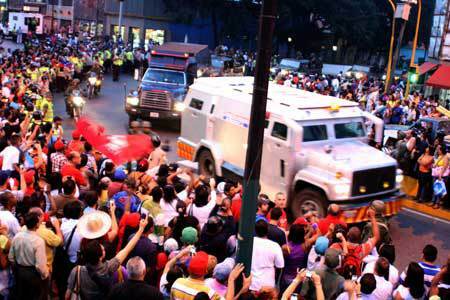 Recall that in August 2011 when Chavez called for the repatriation of Venezuela’s gold reserves, he also called for the transfer of the BCV’s operating reserves away from US and European banks. These operating reserves, such as cash deposits and short-term fixed interest investments, had been invested with the BIS (BPI in Spanish), Barclays, JP Morgan, BNP Paribas, Deutsche Bank, the FRB (repos), the World Bank and Bladex (the Panamanian based LatAm trade bank). Sight deposits were with JP Morgan, time deposits with the other commercial banks and the BIS, and it negotiable (fixed rate) instruments with the BIS (FIXBIS). See “Proposed Relocation of the International Reserves“. Prior to the Chavez about-turn, Venezuela had cultivated close working relationships with some of the biggest global investment banks (or vice-versa), and seemed to be especially fond of Wall Street banks. This is illustrated, obviously, by the manner in which it used the investment banks to invest both the operating and gold components of its international reserves, where the names involved read like a who’s who of investment banking giants. But as important as the deposit taking banks appear to be to Venezuela, the advisory and corporate finance relationships look to be as equally important. According to the Venezuelan media, in the early 2000s, JP Morgan was said to be very close to the Venezuelan finance ministry and finance minister Alejandro Dopazo, and Credit Suisse New York was also said to have had a close relationship with the government. 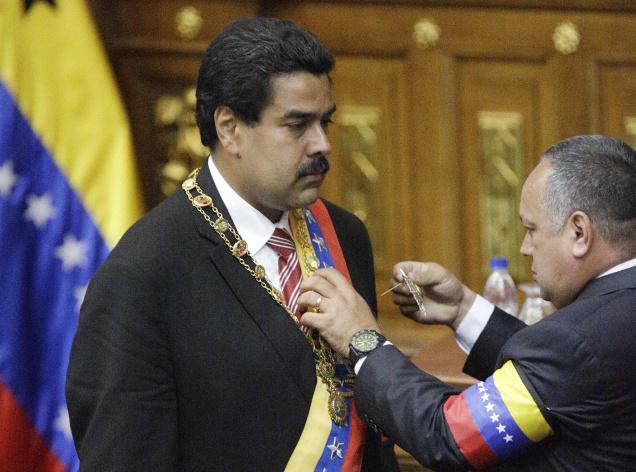 The use of Venezuelan gold as loan collateral was also not something new to the Maduro years. A Venezuelan media report from August 2011 claims that a few years prior to 2011, Venezuela was involved in financing discussions with New York based investment banks where the banks raised the issue of gold collateral as a means of lowering the required coupon in the financing strategies and products being discussed. These meetings were said to have taken place in the New York offices of Francisco Illaramendi, former manager of the PDVSA pension funds. According to the media report, Deutsche Bank, Credit Suisse and Barclays separately proposed that in order to “avoid the penalty of high coupons, Venezuela could place ‘equivalent in gold in the banks’ to support the issue”, with Credit Suisse proposing that Venezuelan gold be deposited with it in London and Barclays proposing likewise. Since the Maduro presidency, the investment banks, and especially the Wall Street based banks, have been actively involved again in Venezuela’s financial affairs. Late last year, in December 2014, Venezuela sold Goldman Sachs a $4 billion credit owed to Venezuela by the Dominican Republic which was outstanding under the Petrocaribe arrangement. Petrocaribe is a regional oil programme by which Venezuela supplies oil to other countries in the region. Lazard, the French investment bank, is a financial advisor to the state of Venezuela, and last year Lazard was chosen by Venezuela to handle the sale of Citgo Petroleum on behalf of the Venezuelan state owned oil company PDVSA (Petróleos de Venezuela S.A.). Citgo is a US subsidiary of PVDSA. This sale didn’t go ahead but then Deutsche Bank’s New York office was chosen in January 2014 to handle a bond and loan capital raising exercise for Citgo and advisory services for PDVSA. Deutsche had previously worked with PDVSA. Bank of America-Merrill Lynch also now has a close relationship with the Venezuelan central bank and the Venezuelan government in the form of its chief economist for the Andean region, Francisco Rodríguez. Rodríguez, was chief economist to the National Assembly of Venezuela from 2000-2004, and joined Bank of America in 2011. More about Rodríguez below. The first sign that Venezuela’s gold was back in the sights of the investment banks came in November 2013, when it was reported that the BCV (and the Venezuelan government) were in negotiations with Goldman Sachs about the arrangement of a gold exchange, in other words, a gold – US dollar swap with gold as collateral. A lot of the reporting at the time did not provide very much detail about this swap, so here are some summary details of the Goldman gold swap. The gold swap was to be between the Central Bank of Venezuela (BCV) and Goldman Sachs International in London. Eudomar Tovar was BCV president at that time. The swap would involve Venezuela swapping gold from it’s reserves with Goldman Sachs international in exchange for a US dollar loan, with the gold serving as collateral for the loan. The swap was to be for a four-year duration between 2016 and 2020 (although another media source said it was to be for a seven-year duration from late 2013 until late 2020). The swap was to be for 1.45 million ounces of gold (or nearly 1.45 million ounces according to one media source) which was expected to be deposited at the Bank of England and transferred to Goldman Sachs International at an agreed time. 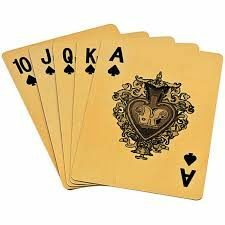 At the time, 1.45m ozs of gold was valued at over $1.85 billion at the then market price of $1,282 per ounce. Venezuela would also pay an annual interest rate of 8% on the loan. The above screenshot is from a document here. If the price of gold fell over the life of the swap, the BCV would need to deposit more gold into a margin account. If the price of gold rose, Goldman Sachs International would be required to deposit more currency into a margin account. 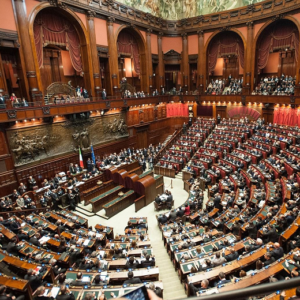 At the swap’s maturity, the contributions made by each party into the margin accounts would be returned to the respective parties. The swap was said to contain a built-in hedge that would benefit Goldman, which reflected a 10% adjustment of the value of the swap if the gold price fell. The gold swap was said to be tradable on the market. The terms of the swap allowed the BCV to repay the loan and keep the gold, but if the BCV didnt repay the loan, the gold would go Goldman. One report said that the gold would continue to appear on the BCV’s balance sheet throughout the term of the swap. The BCV had contracted Adar Capital Partners (of which Diego Marynberg is a director), as a consultant to design the swap with Goldman Sachs International. Adar Capital Partners would received 0.25% per annum of the value of the gold in the contract at beginning of each year over the life of the contract. Any dispute between the parties would be resolved in English courts. Some media articles on the BCV-Goldman gold swap can be viewed in Spanish here and here and here. 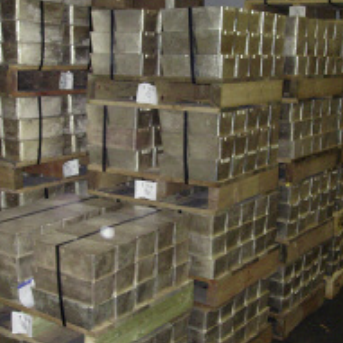 Given that there were said to be 16,908 of Venezuela’s gold bars held abroad, of which 12,819 bars were repatriated, this left 4,089 of Venezuela’s bars in the vaults of the Bank of England from early 2012. These 4,089 bars are roughly equal to 51 tonnes, or 1.635 million ounces. It looks like the Goldman swap factored in a 10% adjustment on 50 tonnes of gold (roughly 1,607,500 ozs) at the Bank of England, to arrive at 1.45 million ounces (i.e. 1,607,500 * 0.9 = 1,446,750 ozs). This is the 10% adjustment referred to above. So Goldman would have had an extra buffer built-in as protection against a downward gold price movement. The discussion of the swap at the time in November 2013 did not reveal what US dollar amount the BCV was to receive from Goldman in exchange for transferring 1.45 million ozs of gold to Goldman. i.e. it did not reveal the intended discount that the BCV was expected to take on gold with a US dollar value of $1.85 billion. The BCV maintains that this gold swap with Goldman Sachs International did not go ahead, despite what look like detailed terms and negotiations. But the framework of the gold swap discussed with Goldman Sachs looks very similar to the swap structure that was ultimately chosen in April 2015, so it appears that the BCV re-used in some way the plan that they had drawn up with Adar Capital Partners and Goldman Sachs. 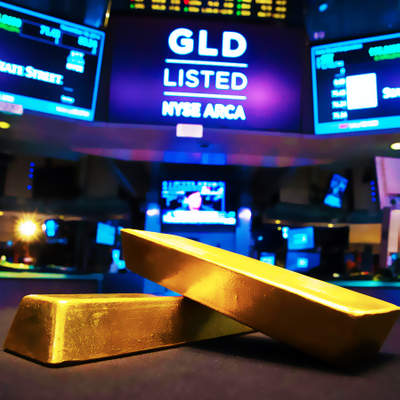 Where Goldman did get a Latin American gold swap out the door was Ecuador, approximately six months after its negotiations with Venezuela hit a wall. In early June 2014, it was announced that Ecuador had agreed to swap 1,165 bars of gold as collateral with Goldman, and in return Goldman agreed to provide Ecuador with “instruments of high security and liquidity” i.e. a loan. This gold swap was for 3 years, from 2014 to 2017 after which it will be reversed and Ecuador will get its gold back and pay the 2017 gold price to Goldman. In September 2014, there was a rather unusual story from Bloomberg in which Francisco Rodríguez, the Bank of America economist (see above), related the fact that he had been allowed a rare visit into the Venezuelan central bank gold vault to view the gold bars. Rodríguez maintains that he was at a routine meeting in the BCV headquarters when his request to see the gold was granted, and that he and four other people who had attended the meeting were brought down to the underground vault in which all of the gold was stacked in “five small cells that were not even full to the top”, and that the bars were of “different types”. While Rodríguez is said to be close to the BCV and the Venezuelan government, it still seems odd that at a routine meeting, a Bank of America representative (and some unnamed others) would pop down to see the gold in the vault, while external attendees at countless other meetings at the BCV’s headquarters would not do this tour. Could it he that the Bank of America was running the slide ruler over the Venezuelan gold in preparation for a loan of their own to the Venezuelan State? At this point its worth recalling some of the banks that were interacting with the Venezuelan state and finance ministry, and/or interacting with the BCV (not including the gold deposits and gold lending). 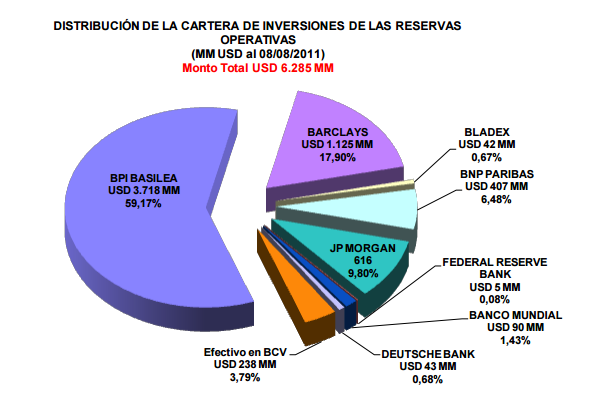 In 2011, Venezuela’s operating reserves were invested with Barclays, JP Morgan, BNP Paribas and Deutsche Bank. Earlier in the 2000s, JP Morgan, Credit Suisse and Deutsche were said to be close to or working with Venezuela on various financing matters. It was also said that a few years prior to 2011, Barclays, Credit Suisse and Deutsche, at meetings in New York held in the PDVSA offices, had proposed that Venezuela could put up gold as collateral so as to lower coupons on unspecified products. Then there was Goldman Sachs purchasing outstanding debt that the Dominican Republic owed to Venezuela. Then there were Lazard and Deutsche advising the PDVSA and/or Citgo in the US. Finally there was Goldman Sachs negotiating a gold swap with Venezuela in 2013, and Bank of America taking a look at the gold in the BCV vaults in 2014. The topic of Venezuelan gold swaps was again raised on 10 March 2015 when Reuters reported that the BCV was said to be in advanced discussions with a group of Wall Street banks about conducting a 4 year gold swap for 1.4 milion ozs of gold, and that the swap operation would be agreed by the end of April. 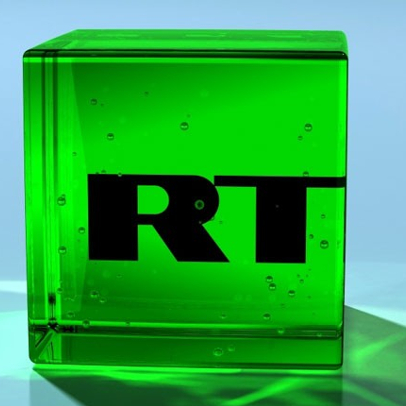 Reuters reported that the discussions involved at least two institutions, namely “Bank of America and Credit Suisse”. At the time, the swap was said to involve an exchange of 1.4 million ozs (43.5 tonnes) of Venezuelan gold for cash, on which interest would be paid, and that Venezuela had the option of re-purchasing the gold after the expiry of the 4 year term. Interestingly, it was also said that Venezuela “would most likely be able to maintain the gold as part of its foreign currency reserves” during the swap, i.e. double-counting of gold reserves. Local media went further, and named additional investment bank names said to be involved in the pitch to secure the gold swap deal. On 5 March 2015, Nelson Bocaranda Sardi claimed in Venezuelan newspaper El Univeral that there was a pitch competition (implied to be for effect) by Credit Suisse, Goldman, BTGP Brazilian, Deutsche, Bank of America and Citibank, and that it was really a three horse race in which Deutsche Bank, Bank of America and Citibank would be chosen for the gold swap, but for $500 million each. Furthermore, Sardi said that Venezuela was paying $70 million to each bank as a risk premium. 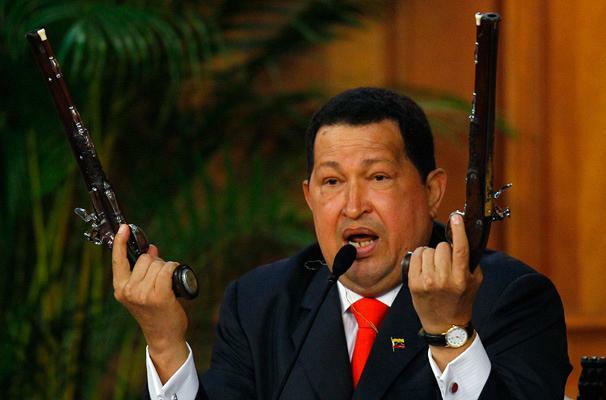 El Universal was previously said to be critical of Chavez, but may now not be so critical of Maduro. On 12 March, on a web site of an organisation called Aporrea, Fresia Ipinza retorted (possibly with more up-to-date information) that rumours were saying that the gold swap would be over 4 years for 1.4 million ozs, and that allegedly Bank of America and Credit Suisse were involved. Aporrea were known to be Chavez supporters. So, its very possible that the list of investment banks pitching to Venezuela for the gold swap were as follows: Bank of America, Credit Suisse, Citibank, Deutsche Bank, Goldman Sachs and BTGP. BTGP refers to BTG Pactual, a Brazilian investment bank. In the last week of April 2015, it emerged that Citibank had exclusively won the mandate for the gold swap with Venezuela. 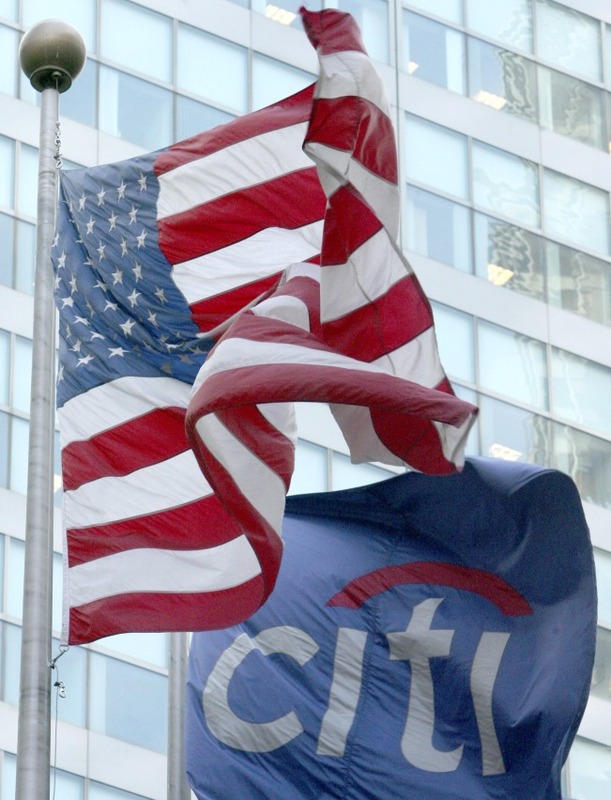 It was reported that Citi was chosen from a group of ‘five’ banks that had pitched. A combination of sources (see links) yield the following details about the gold swap with Citi. The details are said to be derived from newspaper ‘El Nacional’ and also a former director of the BCV, and also from Reuters. Venezuela (via the BCV) will put up 1.4 million ozs of gold as collateral in exchange for a $1 billion loan of foreign currency from Citibank. Since 1.4 million ozs of gold, valued at the late April 2015 price of $1,200, is roughly $1.68 billion, then Venezuela is having to accept a near 40% discount on the specified gold collateral. Venezuela also pays interest on the loan at between 6% and 7% per annum. The swap is for a 4 year duration, and Venezuela will have the “right of first refusal” to re-purchase the gold after 4 years. 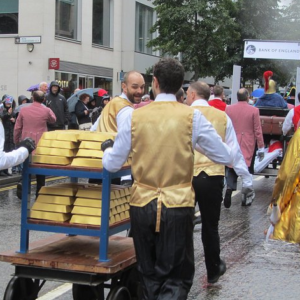 The 1.4 million ozs of gold (43.5 tonnes and just less than 3,500 Good Delivery bars equivalent) will be held at the vaults of the Bank of England. If Venezuela does not pay the interest payments on time, Citibank can gain control of the gold. The loan was expected to be for $1.5 billion but its unclear why this changed, but probably would have something to do with a bigger haircut being imposed. According to ‘Venezuela Analysis‘ the “current value [of the gold] will continue to appear on the Central Bank’s balance sheet – an advantage that Goldman Sachs denied the country in earlier talks.” ‘Venezuela Analysis’ also said that some sources think Citibank holds title to the gold, while other say Venezuela holds title. Another relevant newspaper link is here. 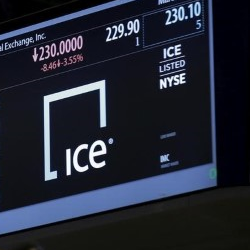 None of the media commentary mentioned Adar Capital Partners Ltd in conjunction with the Citibank swap but its possible that this company could have been involved in the more recent swap negotiations, given that it was involved in the late 2013 gold swap negotiations involving Goldman Sachs and a lot of the swap terms are similar. On the other hand, the BCV could have just taken its gold swap file on the Goldman proposal out of the top drawer and reused the Goldman – Adar plan. Why might Venezuela need a loan now? Does Venezuela really need extra foreign currency now? In some ways, yes. Venezuela’s international reserves keep falling and as Nathan Crooks of Bloomberg said recently, reserves are now under $18.8 billion and at the lowest level since October 2003. Venezuela’s international reserves fell by about US$2 billion during April from a level of $20.8 billion at the beginning of April. Lower oil prices have impacted the country’s ability to comfortably meet principal and interest payments on foreign bond borrowings and for financing imports. Inflation in Venezuela is running high, and there are reports of a shortage of essential goods and an impact on some public services. In short, the economy is contracting. Rodriguez, the Bank of America economist, said that the gold swap was the ‘logical’ course of action for Venezuela to take. As to why Venezuela can’t negotiate oil swap deals in the current environment or get more financing from the BRICS or China, that is probably more of an international political issue and a reputational issue with the international capital markets. 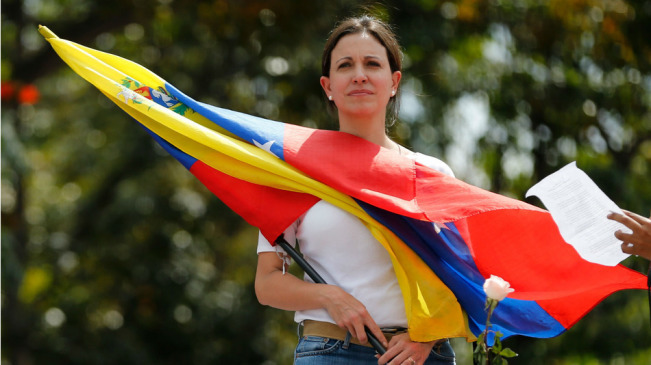 On 12 March 2015, Maria Corina Machado, a deputy in the Venezuelan National Assembly and political leader of the opposition party, sent an offical letter to Nelson Merentes, president of the BCV, asking the following 5 questions about the gold swap, which at the time, in early March, was being rumoured. ¿Está todo el oro de las reservas venezolanas en las bóvedas del BCV de Venezuela tal como afirmó el ex presidente el Hugo Chavéz 17 de agusto 2011, cuando ordenó “repatriacion de nuestro oro”? 2. ¿Está el BCV en negociación con la banca extranjera para la venta o empeño del oro monetario? 3. ¿Es cierto que en la operacion de empeño del oro actualmente en discusión se pretende disponer de oro por un valor de mercado de 2,6 mil millones US$? ¿Esto representaría comprometer casi el 20% del total de reservas en oro de la Républica en esta primera operación? Is it true that in the operation to pawn gold currently under discussion, it is intended to dispose of gold with a market value of US$ 2.6 billion? Does this represent / involve almost the 20% of the total gold reserves of the Republic, in this first operation? 4. ¿Es cierto que estarían negociando una segunda operacion de empeño similar a la anterior por un monto aun mayor? 5. ¿Estas operaciones implican sacar el oro de las bóvedas del BCV y regresarlas al exterior? In the letter, Machado claimed that “the [gold swap] exchange would jeopardize the achievement of economic stability” and “would compromise the future of the Republic and the welfare of millions of Venezuelans“. She also called for the monetary gold bullion held by the BCV and the exact amount held abroad to be “certified by an independent and trusted international body”. There does not seem to be any publicly available response from the central bank to Machado’s letter, so its unclear as to which answers, if any, Machado received from the BCV. However, given the deteriorating state of Venezuela’s international finances and international reserves at the present time, it may be sooner rather than later before Venezuelan gold could be on the move again out of the country. One thing is for sure. 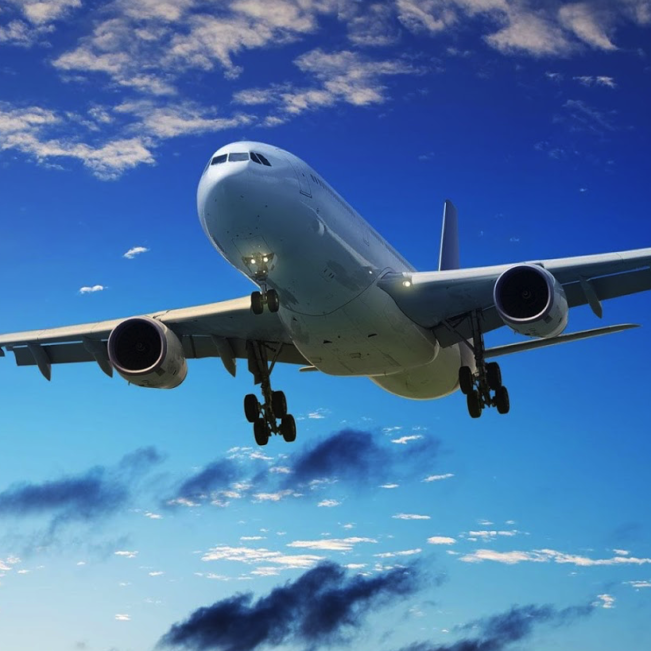 Gold leaving Venezuela on a flight back to London, New York, or elsewhere, will not get the fanfare and celebration that was accompanied by the same gold’s arrival into Caracas a few short years ago.